The Las Vegas Strip (a.k.a. "The Strip") is Las Vegas Boulevard. 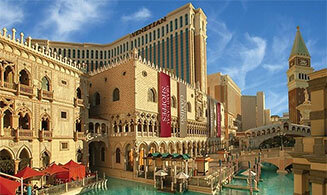 The Center Strip stretches from Harmon Ave to Desert Inn Rd and is home to a host of incredible casino hotels. 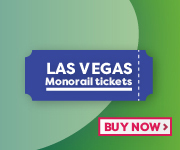 The North Strip runs from Desert Inn Rd to E Charleston Blvd and is home to the family-friendly hotel, Circus Circus while the South Strip extends from Sunset Rd to Harmon Ave. Click to buy your Las Vegas Monorail Pass. 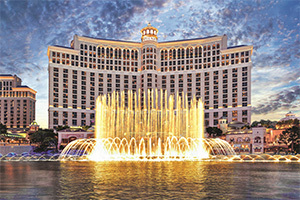 Some of the city's largest hotels are in the center section of The Strip including Caesars Palace, Wynn Las Vegas and the Bellagio. Be prepared to experience an extravaganza of entertainment in Las Vegas from magic shows to classic Vegas burlesque to dinner theatre. The Fountains of Bellagio are absolutely spectacuar and free! The North Strip is home to the world's largest permanent circus, the iconic Circus Circus Hotel & Casino boasts more than 3700 rooms along with an RV park. Another top attraction on this section of the Strip is the Stratosphere Tower. Along with the revolving restaurant at the top of the tower, it also features one-of-a-kind rides that are hundreds of feet off the ground! 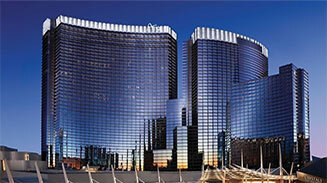 The South section of The Strip boasts one of the city's most luxurious hotel, Four Season Las Vegas. It's nestled on the top five floors of Mandalay Bay Resort & Casino is a peaceful oasis of comfort and serenity. Other popular hotels in this area include the MGM Grand, New York-New York and Park MGM Las Vegas. Shark Reef Aquarium is one of the top attractions in Nevada and features an incredible variety of sea life, all at Mandalay Bay.